The Court of Appeal has sustained the 15 years jail term handed down to three staff of Tai Solarin College of Education (TASCE) who were convicted of defrauding the school of N6.6 million by an Ogun State High Court. One of the convicts, Temilade Yusuf, who was dissatisfied with the sentencing, had approached the Ibadan Division of the Court of Appeal asking the appellate court to dismiss the judgment secured against her by the Independent Corrupt Practices and Other Related Offences Commission (ICPC). 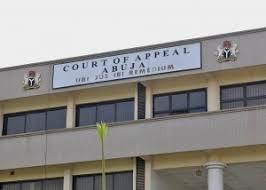 But the Justices of the appellate court agreed entirely with the submission of ICPC, presented by Enosa Omoghibo, and unanimously affirmed the convictions and sentence of the High Court, Abeokuta. Recall that three members of staff of TASCE, Mr. Samuel Adeyemi, Mr. Amuludun Tosin and Mrs. Temilade Yusuf were sentenced to 15 years imprisonment for embezzling N6, 577, 903.4 belonging to the Non-Academic Staff Union (NASU) of the school. ICPC, in a 5-count charge, before Justice A. Akinyemi, said that the trio conspired to commit fraud by converting the money kept in First City Monument Bank (FCMB) by NASU for personal use contrary to Section 19 of the Corrupt Practices and Other Related Offences Act, 2000 and punishable under the same section. Adeyemi as Chairman kept N3.3 million, while Amuludun and Temilade got N1.88 and N1.3 million each as Secretary and Treasurer respectively. The three accused persons were earlier arraigned on 8th October, 2015 and had pleaded not guilty to all the allegations leveled against them by ICPC, which set the tone for months of legal battle between them and the Commission. Omoghibo convinced the court that the accused persons’ actions were a breach of trust and pleaded with the court to mete out appropriate punishment in accordance with the provision of the law, to serve as a deterrent to other public office holders and people in positions of trust. Justice Akinyemi in his ruling found them guilty as charged and therefore sentenced them to five years imprisonment each without an option of fine.